Please feel free to contact us with the details provided below. Although we don’t have an office you can visit, if you need to chat about anything and would prefer to do this face to face, we can come to you! 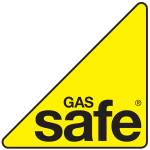 So please don’t hesitate to get in touch for a free quotation on boiler installations and powerflushing in the surrey, middlesex and Berkshire areas. We are Gas Girl Limited, trading as Hardy Heating.